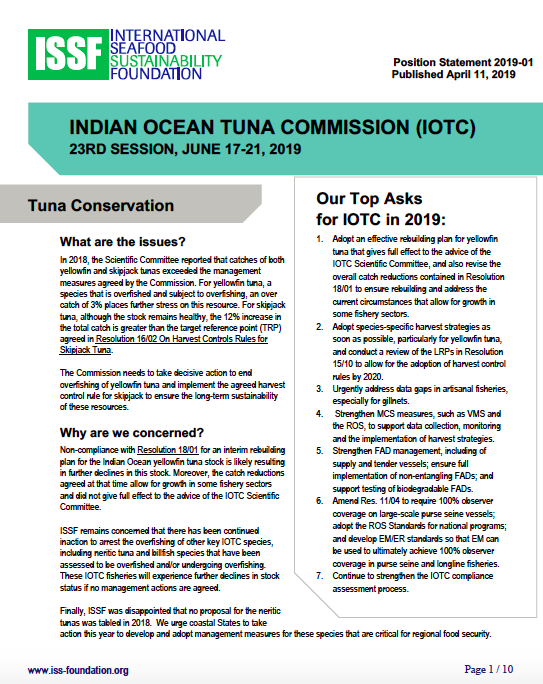 ISSF prepared this position statement in March 2019 for consideration at the 23rd session of the Indian Ocean Tuna Commission (IOTC), which will take place June 17-21, 2019. The statement covers topics in these categories: tuna conservation; fish aggregating devices (FADs); supply and tender vessels; harvest strategies; bycatch and sharks; monitoring, control, and surveillance; compliance; and capacity management. 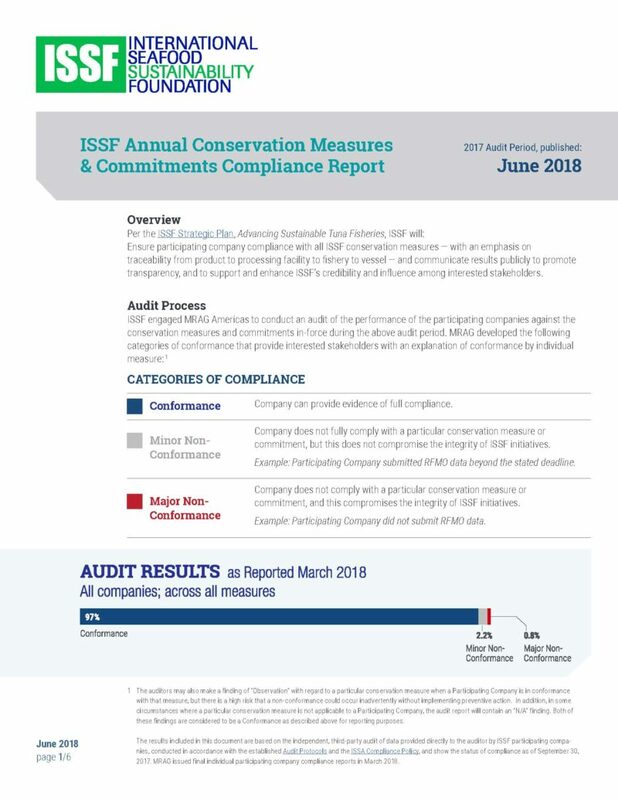 The statement also includes ISSF’s top “asks” or requests of IOTC, along with a list of ISSF’s global priorities for all RFMOs. A French translation of this statement is available.